Be moved, inspired and entertained. The performing arts thrive in Victoria with theatre and dance companies showcasing performances in historical playhouses, modern arts centres and small, picturesque community theatres. The city and area are also home to numerous art galleries, exhibits and studios. Music and arts festivals throughout the year celebrate everything from jazz, blues, R&B and folk music to independent film, Shakespeare, fringe theatre, comedy and Victoria's incredible cultural diversity and history. Regardless of when you visit, chances are one or more festivals will be underway, or just about to kick off. Whether it's Symphony Splash (Canada's largest outdoor symphony event) in the summer, Art of the Cocktail in the fall, Victoria Film Festival in the winter or the Swiftsure International Yacht Race in the spring, entertainment abounds across all seasons! Browse the full calendar to search by interest and date. 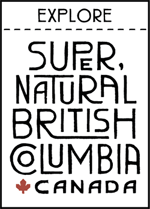 Travel back a few years, centuries or millennia at the largest museum in British Columbia. Follow the footsteps of dinosaurs or visit the Ice Age, see how the fur trade touched and forever changed the lives of BC's First Peoples or climb aboard Captain Vancouver's ship as she anchors in the Nootka Sound. Stroll through a forest for a visit with a cougar or grizzly bear and lose yourself in British Columbia’s history at the BC Archives, a collection of photographs, documents, maps and historical records. Experience a time when civilization grew along the Nile, pyramids dotted the skyline and people believed gods walked among us. With more than 300 original artifacts, some an astounding 4,500 years old, this exhibition covers all aspects of ancient Egyptian life, from the emergence of ancient Egyptian civilization along the Nile to the Ptolemaic and Roman eras. Be among the first in North America to see this staggering exhibition’s priceless ancient artifacts, such as the coffin of Nakht, an exceptional bust of Hatshepsut and an ornate gold and garnet necklace from the Ptolemaic period. Author, historian and lecturer John Adams guides three sets of tours that will introduce you to Victoria's rich history in an unforgettable way. Choose from Ghostly Walks, Chinatown Walks and Discovery Walks and discover fascinating features of the city’s storied past. From coastal gun batteries built over 100 years ago to acres of meadows and stunning ocean views, there's lots to do at Fort Rodd Hill & Fisgard Lighthouse, Canada's oldest lighthouse on the west coast. Kids will enjoy playing with the interactive exhibits in the lighthouse and you can even stay the night in an oTENTik tent. Explore the local arts scene at the Art Gallery of Greater Victoria and The Robert Bateman Centre. The Art Gallery is housed in a combination of contemporary exhibition spaces and a remarkable mansion built in 1889, and includes an important collection of visual and decorative arts, including one of the only Shinto shrines outside of Japan. The Robert Bateman Centre celebrates one of the world's greatest wildlife artists with over 100 original pieces spanning an astonishing seven decades of work.